Family Dental Care opened in Campbelltown on September 20th 1993. We took over a small dental practice, starting out with one dentist and one dental assistant. We now have three dentists, a practice manager and seven dental assistants, which ensures good practice management and very high levels of infection control. At the core of our philosophy are ethical dental practices and the respect for the rights of patients. 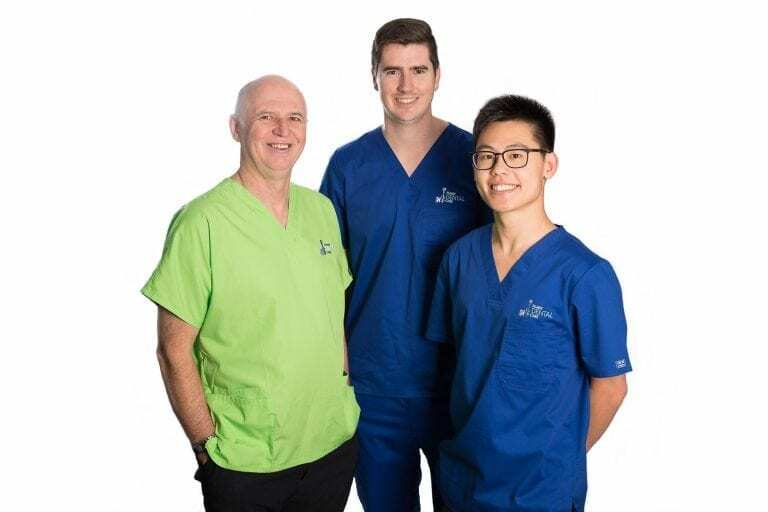 We really care about our patients and aim to be a comfortable and welcoming place that provides a wide range of quality general dentistry for all ages. The dental surgery has always focused on families and general dentistry with a strong emphasis on patient care and community participation. We are dedicated in all aspects of our duty of care and ensure a documented, consistently high level of infection control for each and every patient. As a result, in 2013, we proudly became the first accredited dental surgery in the Macarthur area! We want to help patients attain good dental health and to provide the encouragement and assistance to continue that health. We are absolutely committed to the provision of the highest quality dental care to all patients who require dental treatment or advice. We aim to reverse the bad experiences a majority of people have, and the feared reputation of dentists in general, by providing a caring environment and gentle treatment experiences for all our patients. We intend our patients to feel that we have provided professionalism, courtesy, kindness, sensitivity and consideration at all times, especially with any phobic patients. All dentists and dental assistants participate in continuing education throughout the year, through both internal and external sources. You can be assured that we have training that includes dental emergencies, first aid, and resuscitation on a regular basis. We rarely need to use some of this training but our practice manager insists on this, just in case.